Born in Dublin in 1917 to politically active parents, Maeve Brennan's childhood in Ireland was moulded by the cultural ideologies of nationalism and lit by the creative energy of the Abbey and Gate theatres. She was seventeen when her father was appointed to the Irish Legation in Washington DC, where he was Irish Minister throughout World War II. Maeve wrote fashion copy at Harper's Bazaar until 1949, when William Shawn invited her to join The New Yorker. Tiny, impeccably groomed, and devastatingly witty, in William Maxwell's words, 'to be around her was to see style being invented'. Her richly textured fiction criticism and 'Talk of the Town' pieces, published in the 1950s and '60s, during The New Yorker's most influential period, offer unsparing portraits of the Ireland she had left and the America she inhabited. 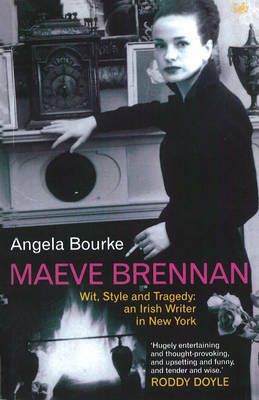 As this richly researched and wide-ranging book makes clear, Maeve Brennan's effect on the people who met her, her eye for human behaviour, clothing and domestic settings, her memory of home and her courageous life as a woman alone in metropolitan America make her an icon of the twentieth century.